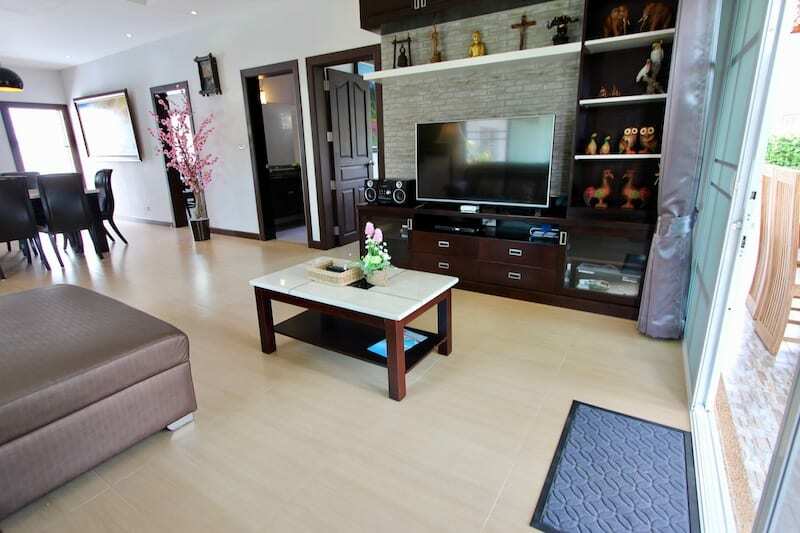 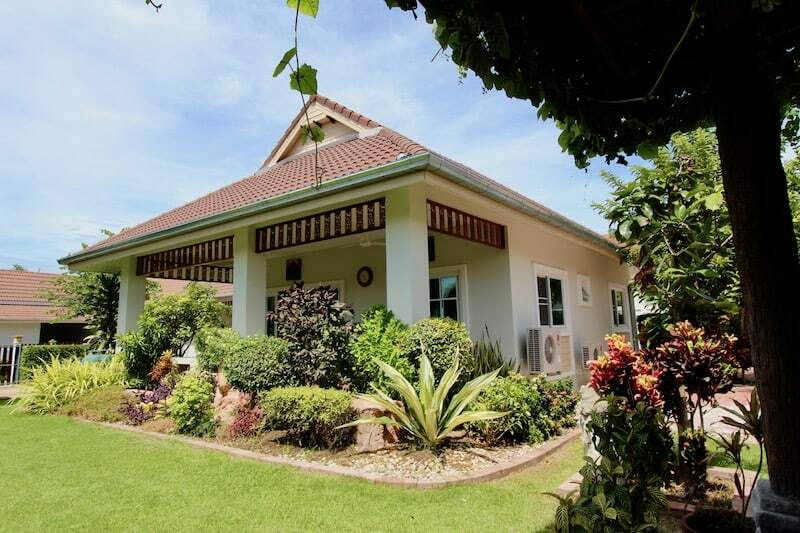 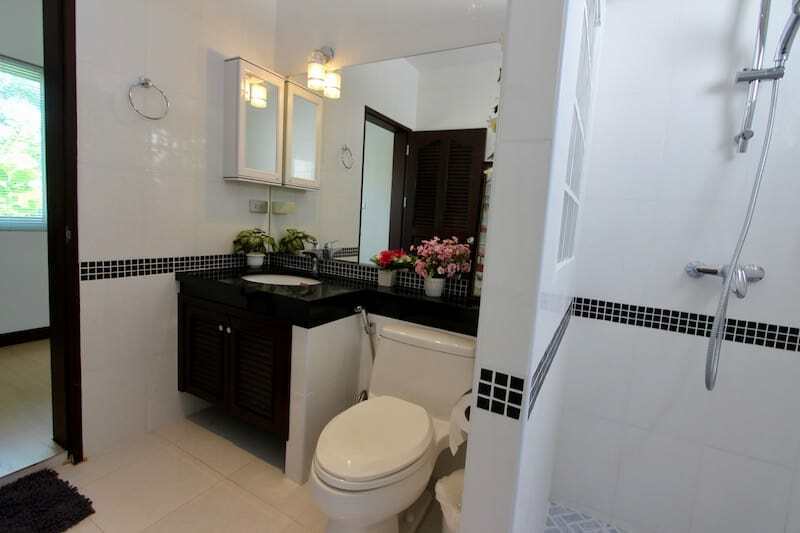 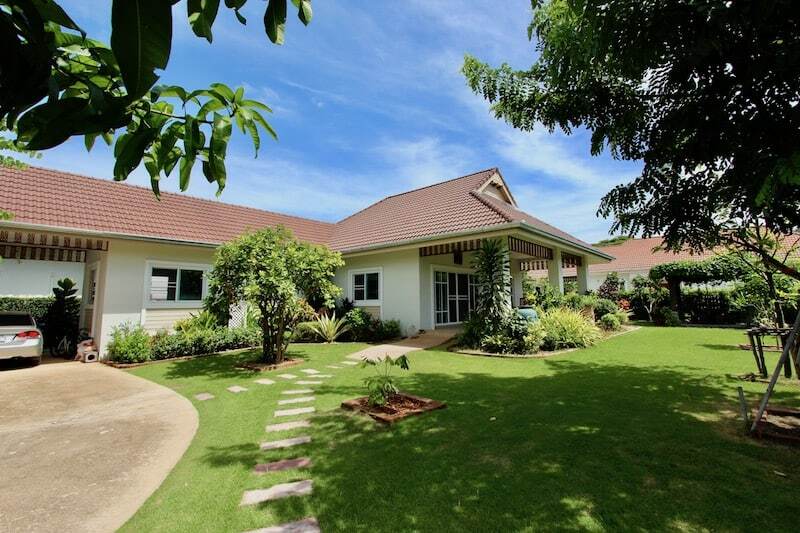 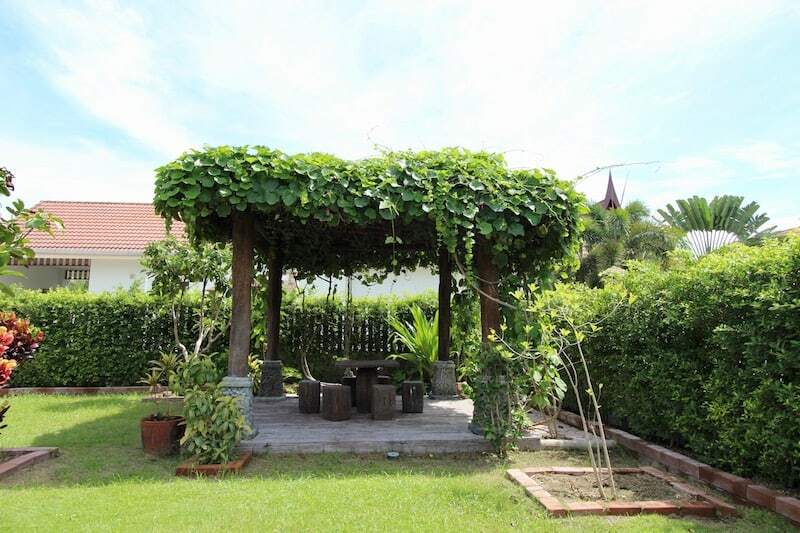 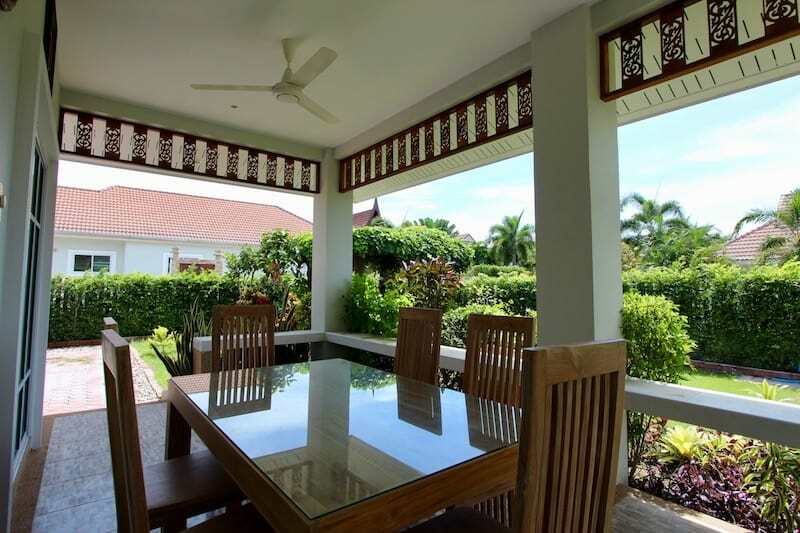 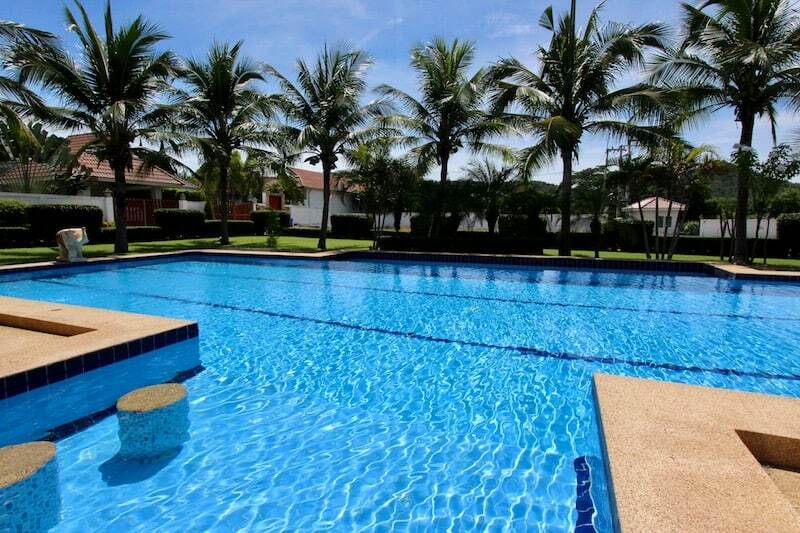 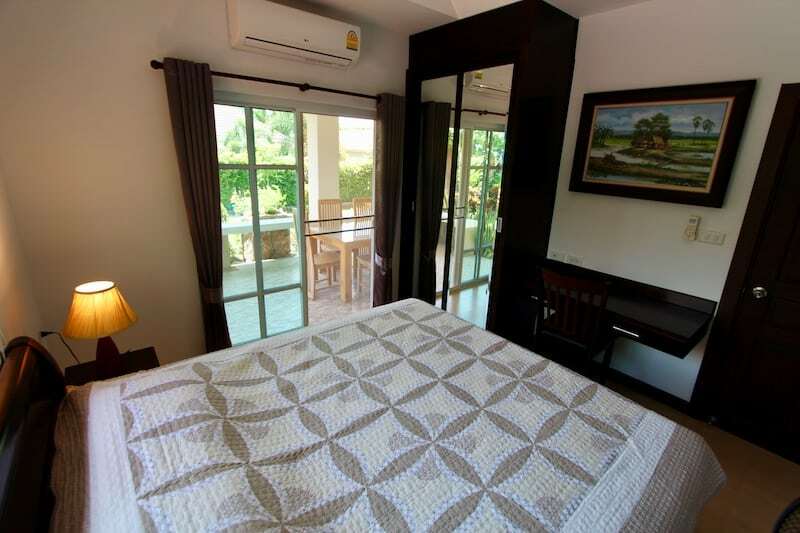 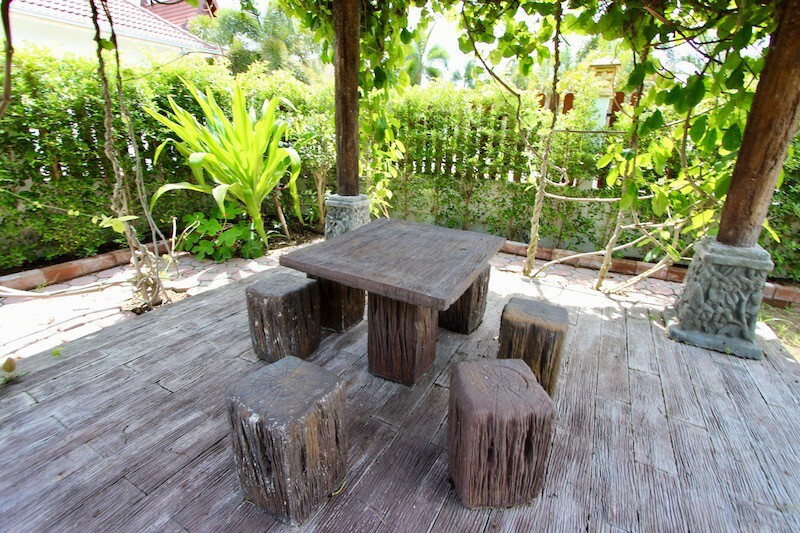 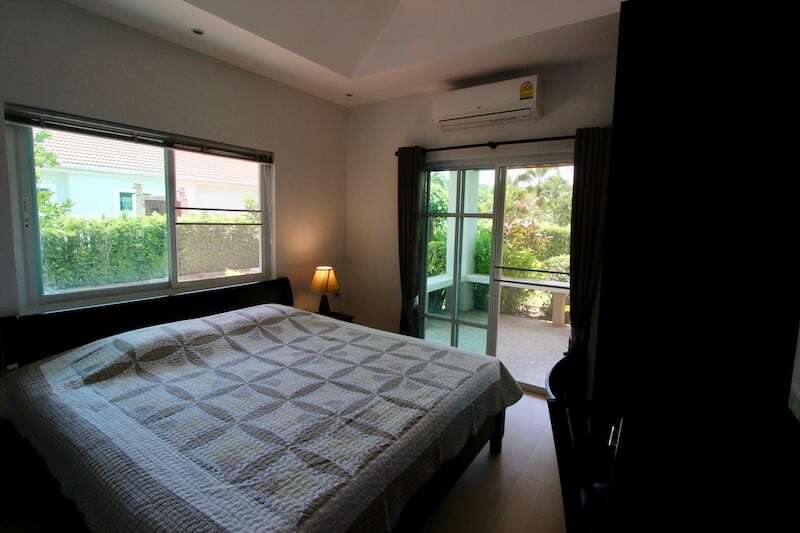 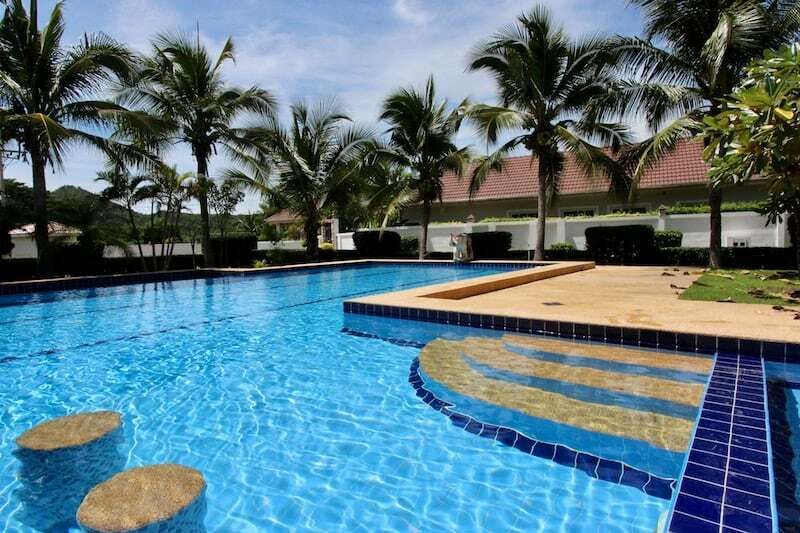 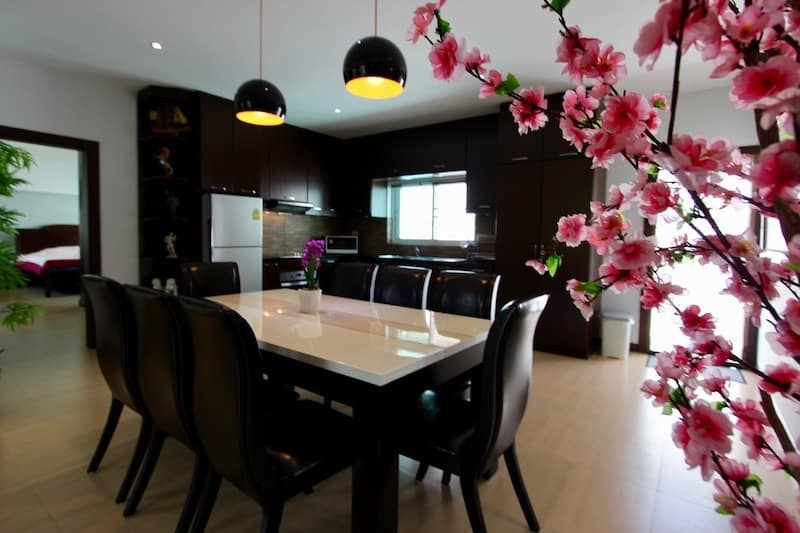 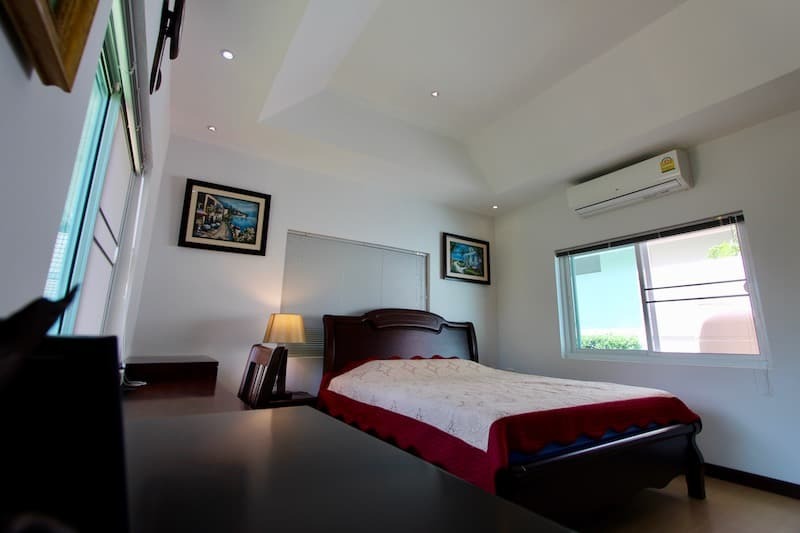 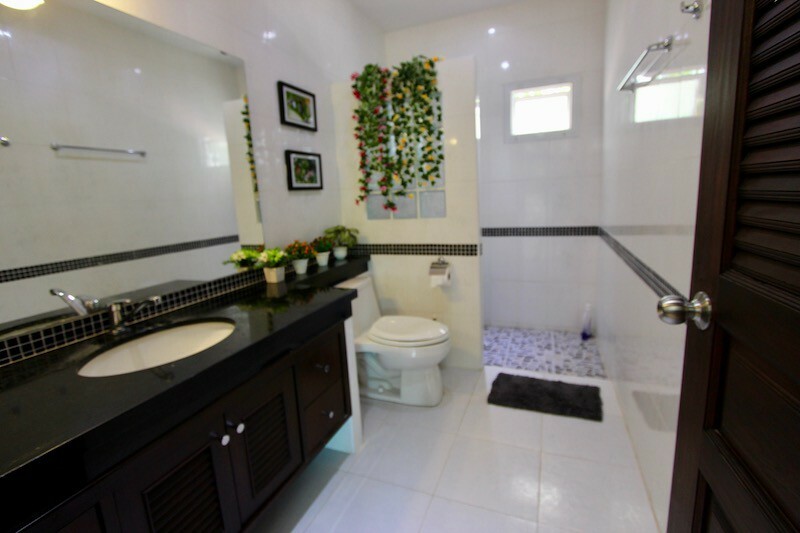 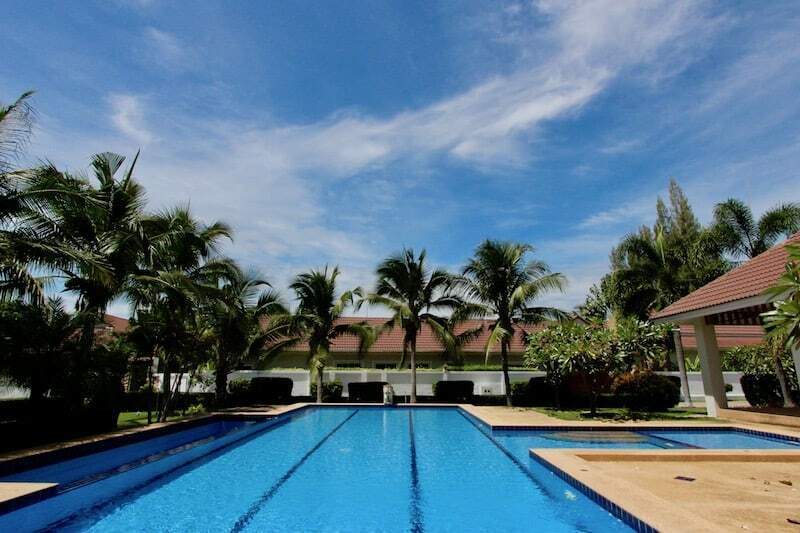 This is a lovely 3 bedroom, 2 bathroom villa located in West Hua Hin near the famous Black Mountain Golf Course and only minutes from the prestigious Hua Hin International School. 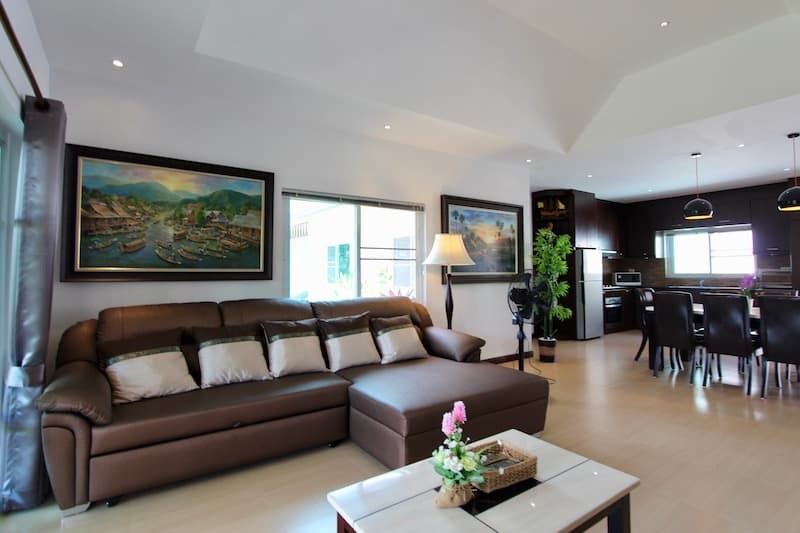 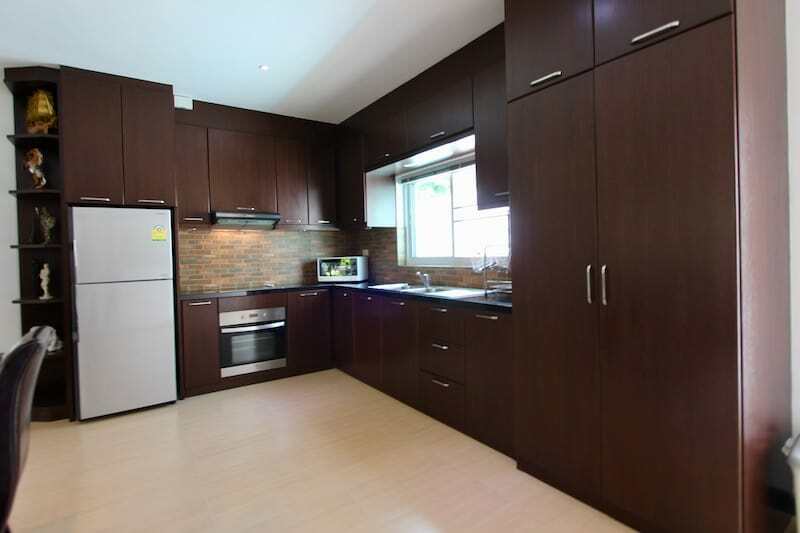 This home is located within a boutique-style development of only 16 similar style luxury homes. 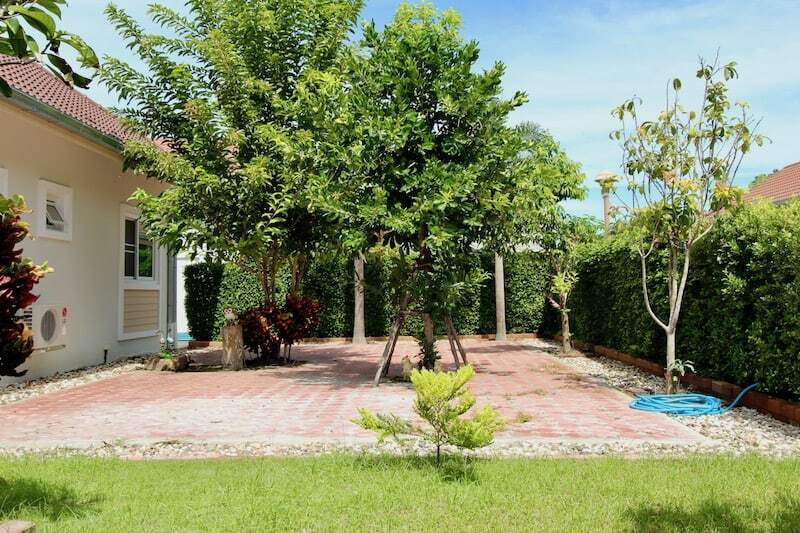 The tropical gardens are well kept and manicured nicely. 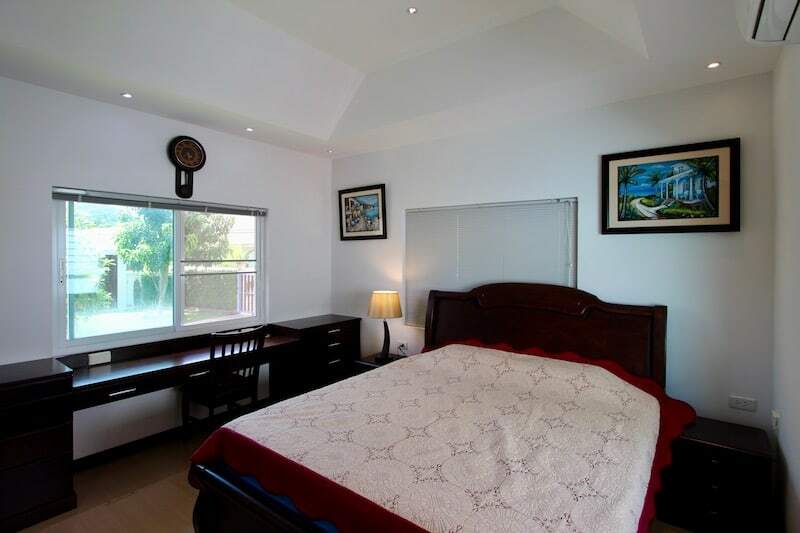 There are fly screens throughout the house & AC units in every room. 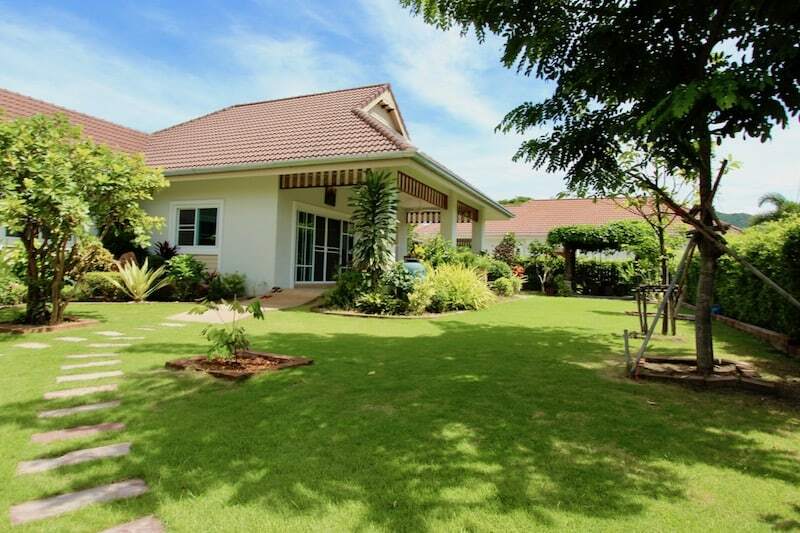 The house has a large covered carport, extra storage room, laundry room and ceiling fan on the terrace for those rare days without a strong mountain breeze. 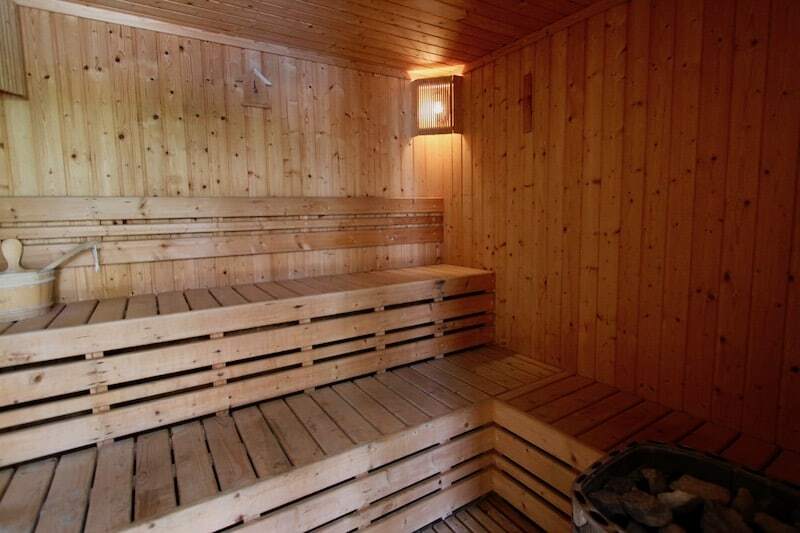 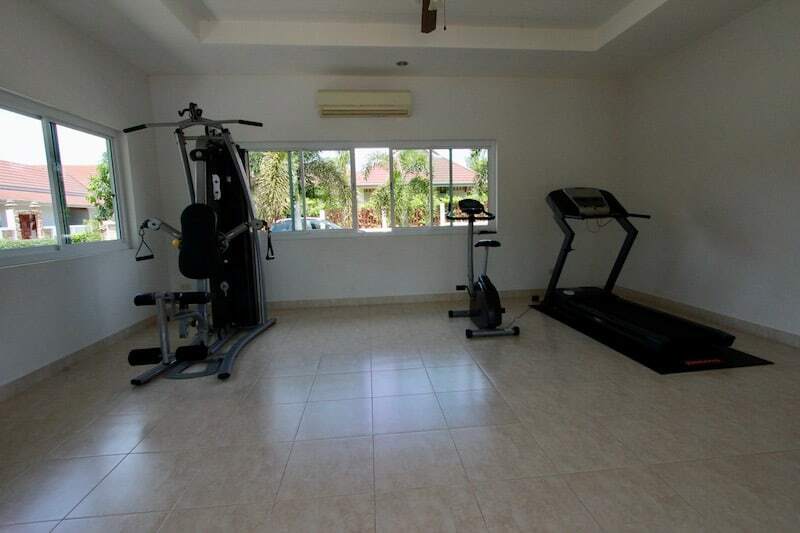 The house is situated directly across from the community fitness center with large swimming pool and sauna room. 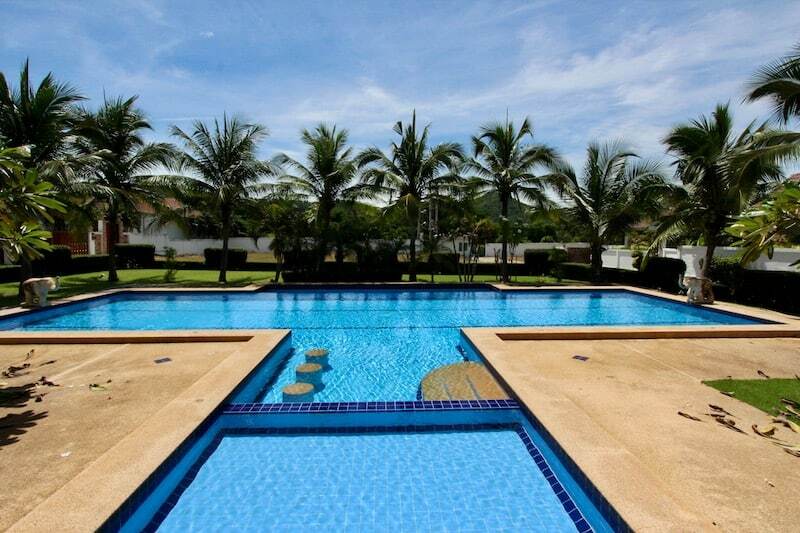 Since most of the homes within the development each have their own private pools, this house often enjoys the entire fitness center and pool all to itself. 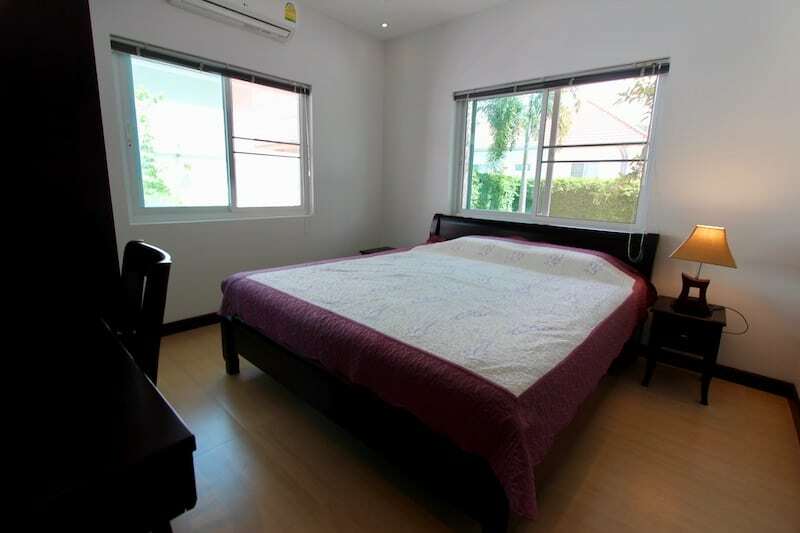 Nearby mini mart, beauty salon, restaurants.